The searches at the premises of the three people linked to firms of Vadra were related to alleged commissions received by some suspects in defence deals. 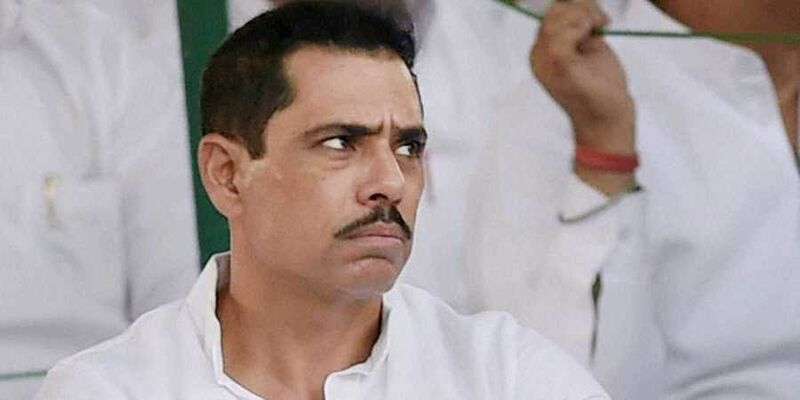 NEW DELHI: The Enforcement Directorate (ED) Friday carried out searches at the premises of three people linked to firms of Robert Vadra, son-in-law of Congress leader Sonia Gandhi, in connection with alleged commissions received by some suspects in defence deals, officials said. The raids that began around 12 noon were carried out at multiple premises in Delhi-NCR and Bengaluru, they said. "The searches were carried out at the premises of two employees of firms linked to Vadra and another person. These people are suspected to have received commissions out of a defence deal and they subsequently invested these funds to procure illegal assets abroad," ED sources claimed. This is for the first time that Vadra's associates have been linked to alleged commissions received in defence deals by the Enforcement Directorate. They, however, did not disclose the names of the people whose premises were searched or the defence deal under their scanner stating that the "search action was ongoing". The searches left Vadra's lawyer Suman Jyoti Khaitan fuming. He alleged that the ED teams entered the premises of associates of his client without showing "search warrants". He claimed that the premises were locked from inside and questioned the government's motive behind it. The Congress slammed the ED raids against Vadra's associates, saying an "unnerved" Modi government was unleashing "vendetta" against party chief Rahul Gandhi's brother-in-law to divert the narrative. The raids come three days after the CBI extradited Christian James Michel, the alleged middleman in Rs 3,700 crore AgustaWestland VVIP chopper deal.